Welcome to Paradise, Marco Island, FL. 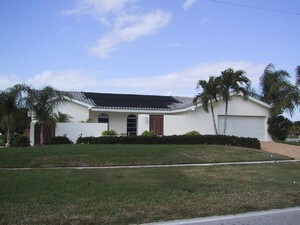 Marco offers you a year round, relaxing vacation on Southwest Florida's Gulf Coast. Marco has Florida's best weather with an average high temperature of 84 degrees and warm gulf water. 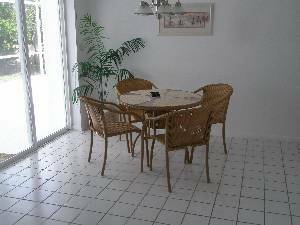 Our lovely waterfront home is steps from Tigertail Beach, has its own pool, spacious lanai with gorgeous water view and dock. 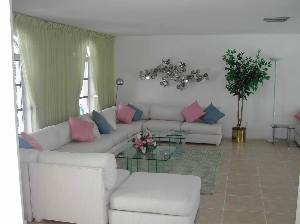 The home is air-conditioned and its western exposure is ideal for sunny afternoon pool activities and sunsets on Marco. 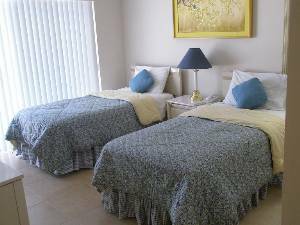 Master bedroom has king size bed and private bath. Second bedroom has two twins and bath. 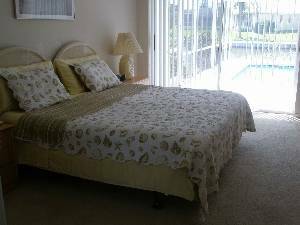 Comes fully furnished with linens, towels, fully equipped kitchen, washer & dryer. Available for rental year round - weekly or monthly. No smoking. Marco Island has a variety of activities including swimming, sunbathing, beach walking, shelling, beautiful sand beaches, volleyball, children's playground, beach food concession, snorkeling, boating, fishing, golf, casinos, tennis, shopping and world class restaurants. Everglades National Park is a short drive. Islander Boat Tours, Naples, offers sightseeing and fishing excursions through the Ten Thousand Island. Corkscrew Swamp Sanctuary offers tour of a virgin forest of 500-year old cypress trees. Nearby airports are Naples and Fort Myers. The livingroom has a very large sectional couch. Master bedroom has a sliding door on to the lanai. Kitchen has a sliding door on to the lanai. Second Bedroom has a sliding door on to the lanai. 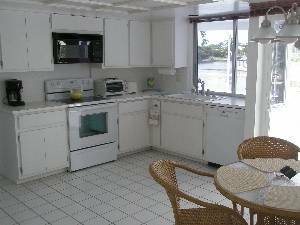 The lanai has a covered eating area, with gas grill. Our third visit to Marco, but the first time in this lovely villa. It is a great place to enjoy the most relaxing time. 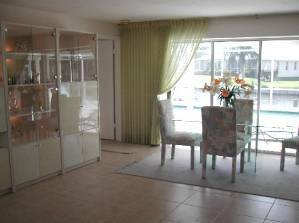 We found a well maintained and clean property as described and we felt that everything was nicely prepared for our arrival. We felt warmly welcomed. The house has a fabulous pool; the kids loved it a lot, but not just them. Indeed we saw some dolphins swimming by. We had a good chance catching some fish right off the dock. The beautiful, natural Tigertail beach is in walking distance, just for very small and "lazy" children the further walk to the open water might be a stretch in the sun. We found birds breading there in protected areas as well as turtles. A variety of restaurants for all tastes and budgets are available. We can recommend CJ's, Snook Inn among some other good ones. 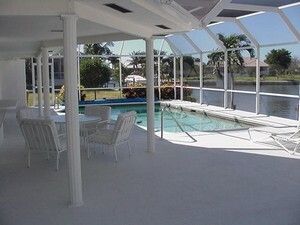 For sure we will be back on Marco Island and this villa has become now our first choice. Clearly recommended to stay, have fun and relax here. We had a perfect 2 week vacation Jul/Aug 2009! Discounts for extended stays - Multiple weeks or months discounted. Discounts for last minute alvailability. Cancellations and Refunds: Deposit will be refunded in full, less $50.00 service charge, only if owner is notified in writing at least 120 days in advance of scheduled arrival. If cancelled within 120 days of scheduled arrival, forfeit all monies paid unless the house is re-rented. If the house is re-rented, a refund of 80% of the funds recovered. Other Fees: Security deposit required.